Even though the traditional retail still holds the ground, more and more people are turning to eCommerce with each passing hour. Reasons for this are numerous. It’s easier and cheaper to order things online than to go to the store and wait in line. Unfortunately, buyers and retailers are not the only ones who realized this, so cheats and con artists have migrated to the digital world. As an owner of an eCommerce website, there’s absolutely nothing worse for you, than to allow your clients to be scammed. This will earn you a bad reputation in no time. And you won’t be able to shake it off easily. 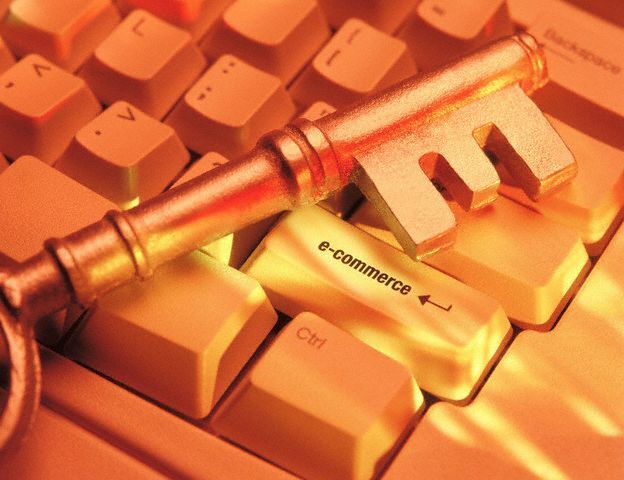 Here are some key factors for your eCommerce site’s security. Think of your eCommerce site as a fortress. Its safety depends on both the design and the material of which it was built. This is why choosing a reliable platform is essential. Now, there are various eCommerce website builders like Bigcommerce, Wix, Shopify and 3dcart, but you can also go with WordPress (WP). Even though this CMS (content management system) was not specifically designed for eCommerce, its versatility when it comes to plugins can fix this issue. By finding the right digital tools, you can raise the security of your e-store to a whole new level. One of the most obvious and most popular ways of protecting your data lies in its encryption. At the very least, Your eCommerce website should be authenticated and secured with SSL Certificate, which you can get from Cheap SSL Shop at less price with quick issuance. So, your eCommerce site should have SSL encryption to protect your customers' sensitive information such as credit card details and passwords during online transmission. It would be unwise to just let it out in the open. Well, this practice is there to make it unreadable for all those who don’t have the proper authorization (which would be pretty much anyone except for you and your clients). Sure, every piece of data you can get on your clients and potential clients helps. However, you need to be realistic about which of these information you actually need. Asking your clients for their personal info may cause them to become suspicious of your agenda. Furthermore, hoarding all this intel makes your website into a compelling prey for hackers. Needless to say, it’s foolish to lose trust of your most loyal customers in this way. Because of this, you should request only the information you absolutely need to know in order to conduct the transaction. The absolutely worst thing you can do, safety-wise, is start believing that you are completely safe. Hacking methods evolve at unparalleled pace, so your defenses mustn’t be static. Conduct regular scans and penetration testing whenever you can. Also, it might be a good idea to constantly be on the lookout for new apps and plugins in the field of cyber security. A good security app can spot the vulnerability in your debug code or leftover source code before it’s exploited. Even though we’ve talked about the loss about valuable data so far, when we discuss eCommerce security risks, most people first think about financial risks. In a recent conversation with experts from PromisePay, it came to our attention that the only thing that can prevent such a theft is proper identity verification. If done properly, it can help avoid fraudulent activity, as well as minimize risk exposure. Altogether, this makes your e-store safer and most trustworthy, but it depends on choosing the right payment engine. Even the best security system won’t be able to help if your clients put their pet’s name or their day of birth on every single one of their passwords. In order to prevent them from making the same mistake on your website, you can do several things. First of all, you need to set few ground rules for passwords on your e-store. For example, you should require capital letters, digits, as well as set minimum length of the password to at least eight characters. These are just several ways to make a stronger password. The safety of your eCommerce site depends only on your own effort and ingenuity. Choosing who you work with and what digital tools your eCommerce site uses, can make all the difference in the world. Still, this burden is not yours to carry on your own. Your clients are responsible for their own actions, so you need to do your best to warn them of what to be careful of and advise them not to give away their private information lightly.